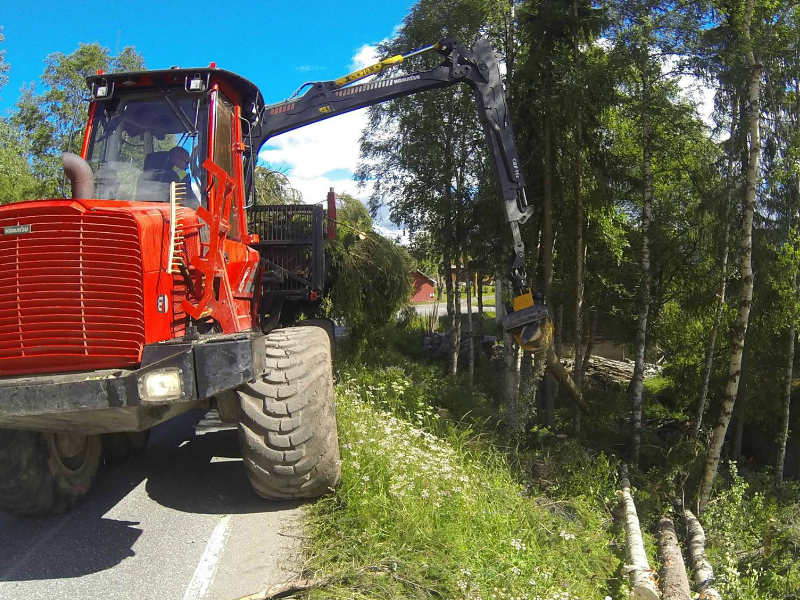 The forwarder gives you even more options with the felling head GMT035 from Gierkink Machine Techniek. 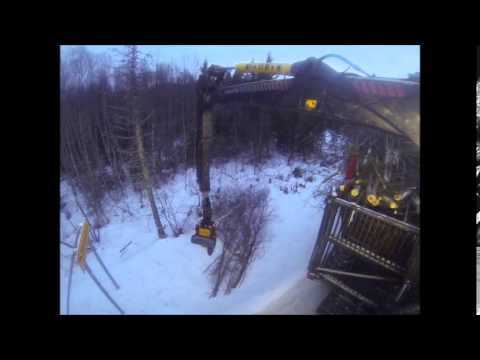 You can remove trees from rough terrain even more safely and efficiently. The GMT035 works quickly and is ideal for removing trees along the edge of a forest, a woodland path, windbreak or along streams. Its low weight and large field diameter means the GMT035 can also be used for harvesting wood for energy. Profitable and a huge saving on labour time! 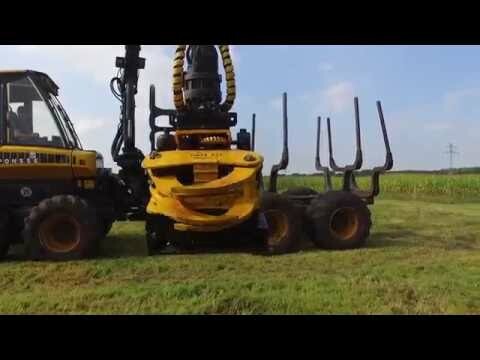 It’s safer to use the felling head. Because of the fact that the grapple grips the tree, the various bits won’t fall to the ground. You control the grapple from the ground! 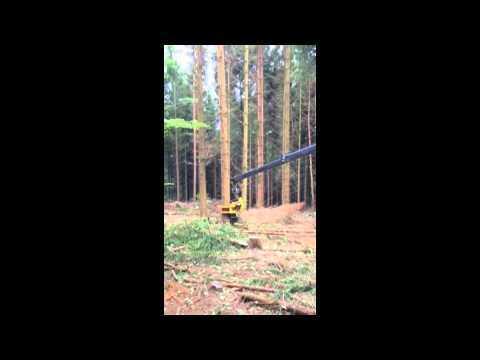 In short: full control when lowering sections of tree to the ground. Mount the GMT035, without any technical adjustments, to any forwarder that is suitable for a standard wood grapple. The patented valve block means no extra hoses and/or control cables are required. Carry out your sawing tasks with the GMT035 from now on, and you’ll need fewer personnel. The GMT035 can be used with which forwarders? 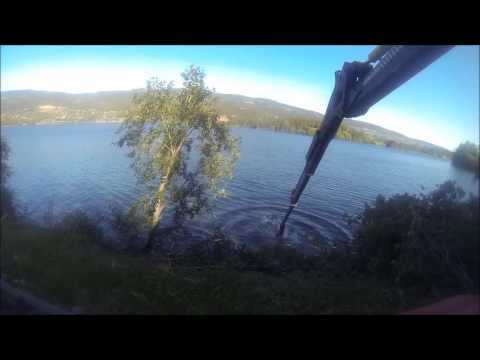 On which forwarders can the felling head be mounted? 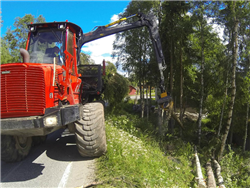 On forwarders from Ecolog, John Deere, Komatsu, Logset, Ponsse, Welte, HSM, Valmet and Gremo. 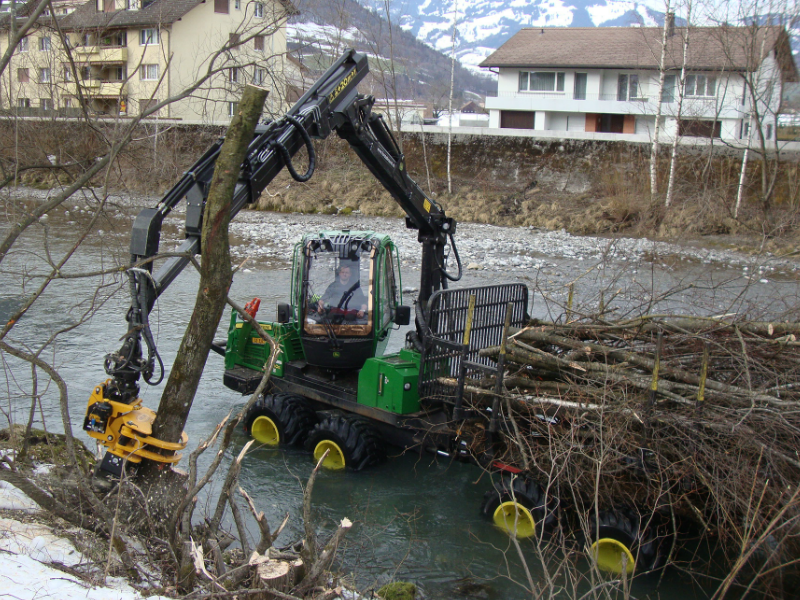 Take a look at the photos and video to see the GMT035 in action!